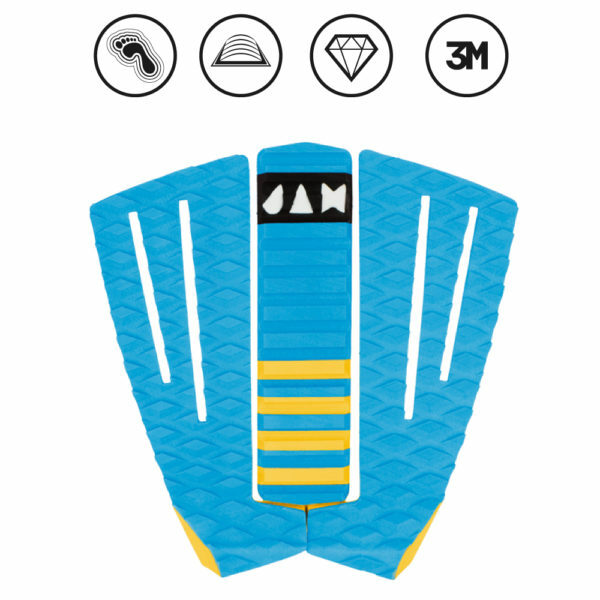 The Flashback is a Three-Piece Traction pad with a full, high archbar inspired by the designs of the late eighties. It has a radical swallow kicktail, and combines the best of today’s quality with an old-school look that fits on every surfboard. In Blue. Also available in Black or Pink.